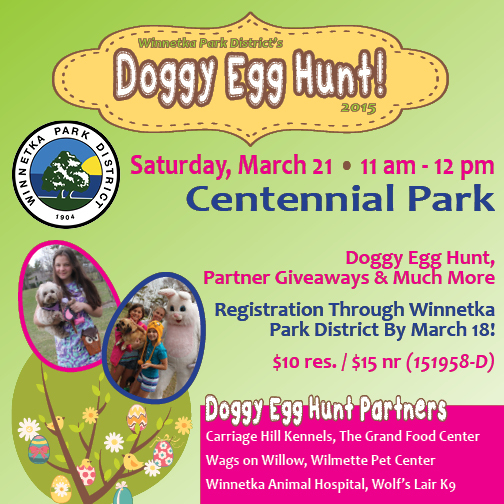 Winnetka’s Doggy Easter Egg Hunt! Join us on March 21st for the annual Easter Egg Hunt! We’ll be there handing out treats and food samples, and it’s a lot of fun for everyone! Sign up on the Winnetka sign up page before March 18th.